Hey guys, we are this close to getting starters (just need the form filled in), and tonight is my last chance to approve them and move the story onwards before Friday. 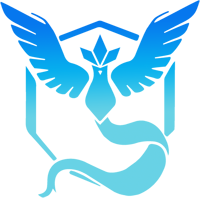 Also, just note, that your form needs to be approved before you get the Pokemon (Brettles one would have no issues being approved, he was just a little eager haha). Tony didn't come off as a rash person. Don’t worry, Renny, you will see how bad Tony can be later. Just have to wait for something to push the wrong buttons. Yup. I actually chose chimchar for him because I felt the other two didn’t fit him very well. How I see the chimchar line is that it’s powerful and near-uncontrollable like fire, and its evolutions combine the intensity of the fire-type with the discipline and control of the fighting-type. Tony tries to have control over himself, but he doesn’t have anything in his past to give him the discipline needed to curve his anger, so if something ignites his fiery temper, logic goes out the window. Honestly, I wish I could say I chose torchic for him for the same reason, but really I just did it so it fit the backstory I wanted to give him, not his personality. yes they are! I will open them now! Hey guys. Just want to apologize for the slow down of Platinum. Part of the story that is coming up now is under major dispute and the resolution of this dispute will affect elements coming up very soon hence why I have slowed right down in official posting. I will put a post together when I get home tonight. I have tagged you all in the thread where I would like you all to share your thoughts. If you haven't yet, please do. The sooner we have everyone's opinions the sooner action will be taken. ALRIGHT, Im a bit late but Im back for blue. I just wanted to say though, it's kind of crazy to think that we started Blizzard blue in 2015, and it's 2019 now. It really didn't feel like so long ago. Even crazier when I think back to how long ago it was when we started Emerald. Also tfw I realized I still have a link to my DE trainer card (that apparently isn't even accessable anymore) in my signature. I think I'm just going to leave it there for the memories. Don't worry, it's still accessible, just hidden atm. :) So it's not lost or anything haha.